The Frozen Lime team travelled up north to the Pearl of the Orient, Penang, for a 3-day team workshop. Hear from Jasmine, Frozen Lime’s Business Operations Manager, who took on the travel planner role for this trip! 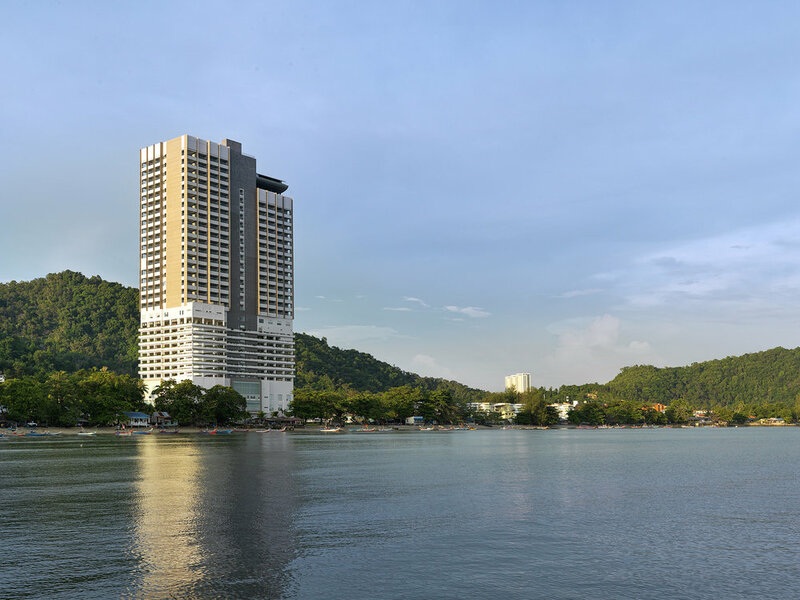 The Lexis Suites Penang is just 1-hour and 20-minutes flight from Singapore and a seamless 10-minute taxi ride from the airport. With 222 spacious suites in a sea front fronting building, the Resort has numerous family friendly facilities and services which caters to both corporate and leisure travellers. We were wowed by the expansive 81sqm Executive Pool Suites which comes with a private dip pool, a steam room and two king-sized beds. From the pool terrace, we saw a fleet of fishing boats bobbling gently on the water; a serene and rustic scene rare to urbanites like us. The manicured lawn by the beach is an ideal place for a game of volleyball or outdoor team-building activities. After a quick lunch at Roselle, the Resort’s all day coffee house, we travelled down to Georgetown’s UNESCO Heritage sites for our ‘FLAmazing Race’. Split into 2 teams, we were flagged off from the Sun Yat Sen Museum in Armenian Street and were tasked to identify 14 historic sites with cryptic clues. It was a neck-to-neck race with the winning team completing the race in an hour and hot on their heels, was the second team just 5 minutes later. The night was far from over as we adjourned to a food tour around Kimberly to Chulia Street. It was food exploration time and we could not get enough of the delicious hawker fare. Day 2, we got down to the grind after an early morning buffet breakfast at Roselle’s, which had a great selection of Middle Eastern, Continental and local Malaysian favourites. The team’s full day session took off at the hotel’s Meeting Room, located on Level 1, where the Grand Ballroom and other meeting rooms are located. With natural daylight, state-of-the-art teleconferencing facilities, the team had a productive day of work inter-spaced with two quality coffee breaks and a delectable lunch at the hotel’s Japanese restaurant, Umi. At sunset, the team went to the popular nearby Hai Boey Seafood Restaurant for a sumptuous dinner. After dinner, we explored the Resort’s leisure facilities - located on the 8th floor, swimming pool, spa, gym, ping-pong tables, board games and karaoke are conveniently housed. What a plethora of activities to choose from! We sang our hearts out at the newly upgraded karaoke centre. The next morning, we continued our work session and all too soon, it was time to check-out. It was a fantastic stay and we left with many happy memories of Lexis Suites Penang and the little island in the sun. Happy and Prosperous Lunar New Year from Frozen Lime Asia!